Like a lot of our stuff, the motivation for producing a frame suited for travel sprung from our own experiences and desires. We’ve traveled with our bikes plenty and wanted something easier to haul around in planes, trains, and automobiles. We dig the folders but wanted a normal bike, something ready for whatever terrain is beneath the wheels. We chose our Cross-Check frame for this platform because of its proven versatility. Already well-known as an excellent do-all frame, friendly with skinny tires or fat, derailleurs or singlespeed drive trains, the Cross-Check takes just about anything you throw at it and handles it like a champ, on-road or off. 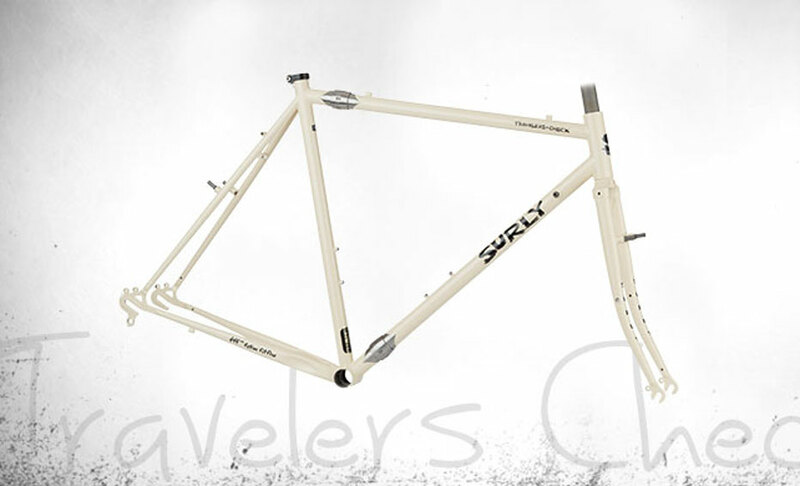 One of the main reasons to buy a frame like this is that the resulting bike can be fit into a case small enough that airlines won’t charge you the normal bicycle rate, which tends to be quite pricey. In some cases you may now be charged, so be sure to check with your travel provider. But this brings some responsibilities on your part. In order to fit your bike in a case this size, you have to do a fair amount of disassembly. This is easy, but you have to fit it all in the case, and this can be somewhat of a puzzle — especially the first time. And when you get to your destination you have to reassemble it, which is not as easy. You will need the basic tools and know-how to safely remove and reinstall your wheels, your handlebar or stem, your pedals, possibly your fork (especially on larger frames). What we’re saying is that there is a minimum level of knowledge required to use a frame like this. Be sure and visit S&S Machine’s web site (sandsmachine.com). Instructions for packing your bike in a case, their story, their recommendations for care of your S&S Couplers, and their own reasons for why a frame with S&S Couplers is good for you can all be found there.